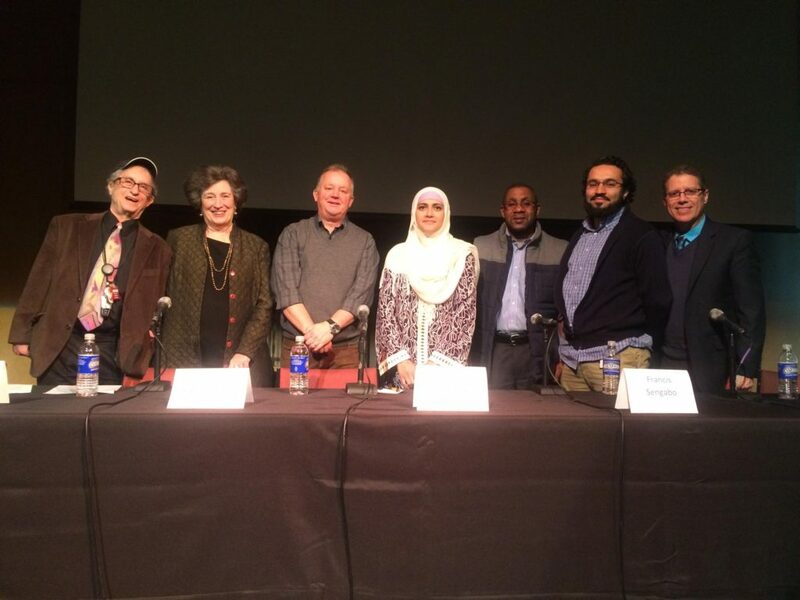 As part of ongoing events in conjunction with the A City of Immigrants celebration in Albany, WAMC Northeast Public Radio and the Albany Times Union partnered for a live panel at The Linda, WAMC’s Performing Arts Studio, on Thursday. Hosted by WAMC’s Dr. Alan Chartock, the panel included Paul Grondahl of the Times Union – who is publishing a series on Albany and immigration in the newspaper – Maseeh Mukhtar, an immigrant from Afghanistan and a Ph.D. student in nanotechnology at SUNY Polytechnic, and Uzma Popal, an immigrant from Pakistan and director of the Muslim Soup Kitchen project, and Francis Sengabo of RISSE. “It has been a staple of American democracy that we are a nation of immigrants, and certainly, Albany is a city of immigrants,” Chartock says. This program is part of Albany Pro Musica’s month of events marking A City of Immigrants, sponsored by Bank of America. This special concert and event series explores the cultural heritage of the Capital Region. #1916: Mugshot legislation passed in the state budget and more.